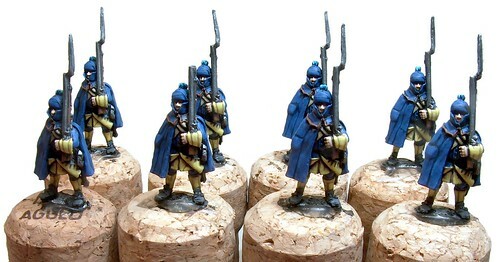 These are Foundry GNW Swedish musketeers, and the first concrete results of the project to see the light of day. I photographed them before they were based because I have no idea yet as to how to base them (to fit in with the rules I have not selected yet). These took me quite a short time, about 5 hours in total, probably because they essentially have only two colours.